Sugar Bob’s, runs a small, “family and friends” maple sugaring operation. They make their own maple syrup with love, care and dedication. 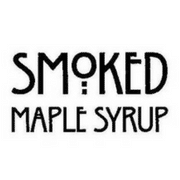 Somewhere along the line they discovered the magic of infusing smoke into their finished syrup, and their kitchen hasn’t been the same since. 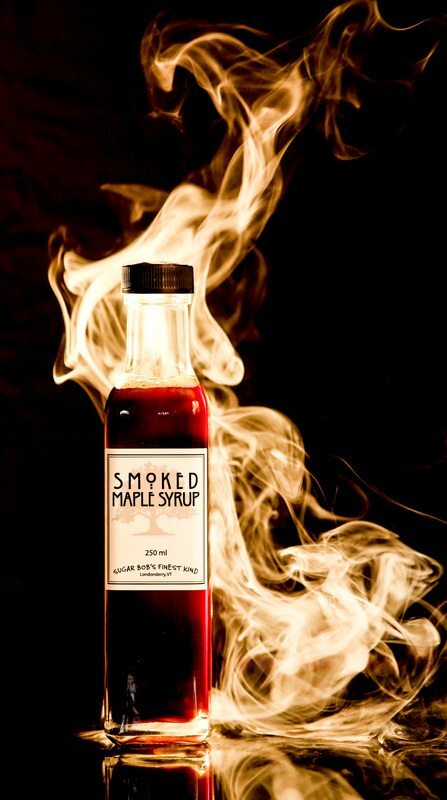 They gently infuse the richest and darkest pure maple syrup with hardwood smoke to create this magical and all natural addition to American cuisine. Sugar Bob’s Finest Kind is made from real maple syrup and real hardwood smoke – nothing else added. Using food grade compressed air and venturi injection principles, they bubble low temperature maple and beech wood smoke through a finished vat of maple syrup for roughly 24 hours. Key aromatic notes and flavors are preserved while they refilter the infused syrup to deliver a clean consistent product for your cooking pleasure.